I’ve been working on a commission today – a doll version of Blodeuwedd. I’m having a lot of fun designing and creating her based on my customer’s desires. I will be emphasizing her owl form. I’ll continue to share photos of my progress. Here’s her assembled body with built-in stand. 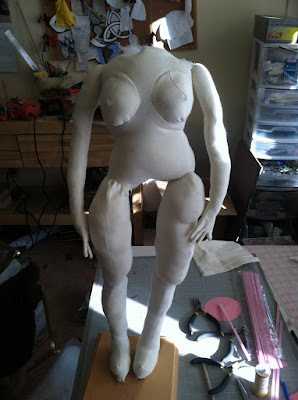 I’ll begin her face and attach the head soon.